Copper has been used for at least 10,000 years. It is such a useful product that we simply cannot seem to get enough of it. Did you know that, in Northern Iraq, a copper pendant was discovered that was dated to 8700BC? While the Copper Age didn’t last and the Bronze Age took over, bronze is an alloy of copper (with tin). Plus, although bronze became popular, copper didn’t stop being used either. Things like crockery, cutlery, hatchets and war weapons continued to be made out of copper. Copper stems from the Latin ‘aes Cyprium’, which literally means ‘alloy from Cyprus’. This is because most of the copper used by the Roman Empire actually came from Cyprus. The word was then simplified and became ‘coprum’, until it eventually developed into ‘copper’. Copper has been used for many things, but particularly currency. Copper lumps were used as money by the Romans, for instance. Initially, this was because copper itself was valuable. After a while, however, people started to like the metal for its beauty itself, creating various shapes. The Romans in particular couldn’t get enough of it, smelting incredible amounts. Throughout history, copper has had various uses, from practical to artistic. Did you know the Statue of Liberty is made of copper? There simply hasn’t been a time period on record when copper hasn’t had its uses. Copper is generally utilized as a pure metal. It is found in electrical cabling and wiring, plumbing, copper nails and various other types of machinery. If there is a requirement for something harder, a copper alloy like bronze or brass will be used again. Copper is very malleable, which means it is not a good high stress component. 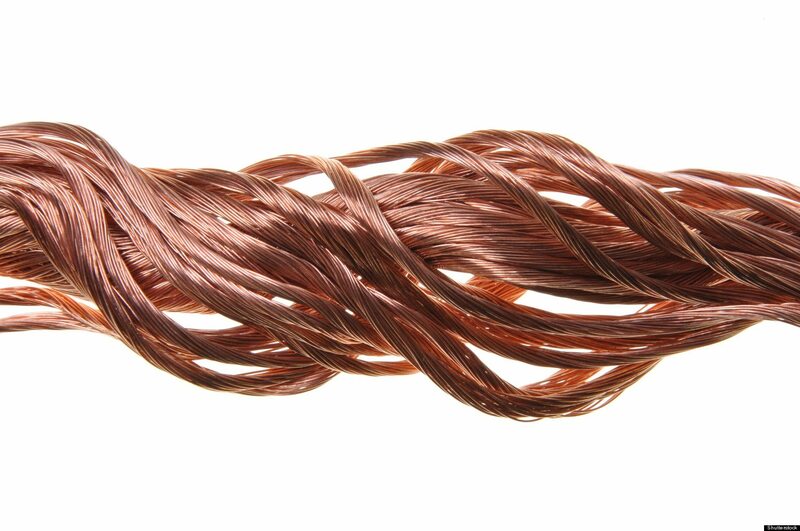 Copper electrical wiring is currently one of copper’s most desirable and profitable uses. It is incredibly conductive, which is why it has been used in that manner since electricity was discovered. Similarly, it is used in various pieces of electrical equipment, including telecoms, transmission, and more. If you were to take a quick look around your home, you would be surprised at how much copper actually surrounds you. These days, most copper is found in wires, which includes communications cables, building wires, appliance wires, power distribution cables, magnet wires and vehicular wires. In fact, it is believed that 50% of all the copper that is currently mined around the world is used in some form of conductive cabling and/or wiring. The material is incredibly effective and useful, easy to work with and very dependable. As a result, demand is always high as well. Did you know, for instance, it is also very popular in marine applications? This is because no bacteria grow on copper. This is why it has been used in the ship industry to cover the parts of the ship where mussels and barnacles tend to congregate. One of the first ships to do this were those sailed by Christopher Columbus. It continues to be used across the marine industry today.